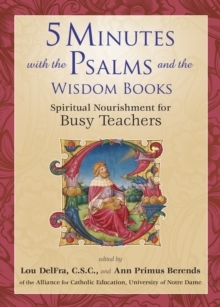 Continuing the tradition of 5 Minutes with Christ and 5 Minutes with the Saints, this unique book of meditations for teachers draws on inspiration from the Psalms, Proverbs, and the books of Wisdom in the Bible. 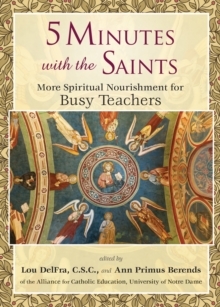 These timeless insights of scripture can provide inspiration and encouragement for all of those on the front lines of Catholic education.Written by teachers for teachers, this book is also a valuable resource for pastors, principals, administrators, and school board members as they seek to motivate others and to reflect on their own role in education. More than seventy meditations will help you get back in touch with Jesus, the source of all wisdom who gives meaning and coherence to your life as a teacher. With contributions from teachers who work in a variety of subject areas at all levels of elementary and high school, the book will be a welcome reminder of the dignity of the teaching vocation and a gentle source of encouragement for educators struggling to meet the needs of their students each day.